Formed in 1998, theStart has graced the rosters of many record labels including 143 Records/Atlantic Records, The Label/Geffen Records and Nitro Records. Credited as one of the first bands of the new wave revival, the punk/synth rock band gained notoriety with their albums Shakedown! and Initiation. Now poised to release their newest album Ciao, Baby on Metropolis, theStart have refined and nurtured their sound into a dancier version of their former selves. However, the punk and new wave elements are still visible through the pop sensibilities that they have incorporated. Tracks like Wartime and Master Plan exhibit the new evolution, while songs such as Blood On My Hands and Runaway show the signature style that fans have come to know and love. 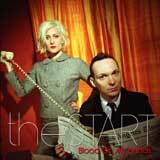 The Dance Revolution for punk and new new wave has begun and theStart are just the beginning.